Thanks for requesting your freebies! Every time someone reads one of my books it’s like getting warm hugs and free coffee. Or tea. Whatever you’re into. I won’t judge. I’ll see you very soon – in your inbox, that is! 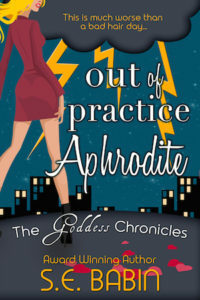 Check your email for your copy of Out of Practice Aphrodite! NOTE: Should you have any trouble downloading the book, click “Help Me” in the upper right corner of the download page or send an email to help@bookfunnel.com.